What does your state of mind say about you? 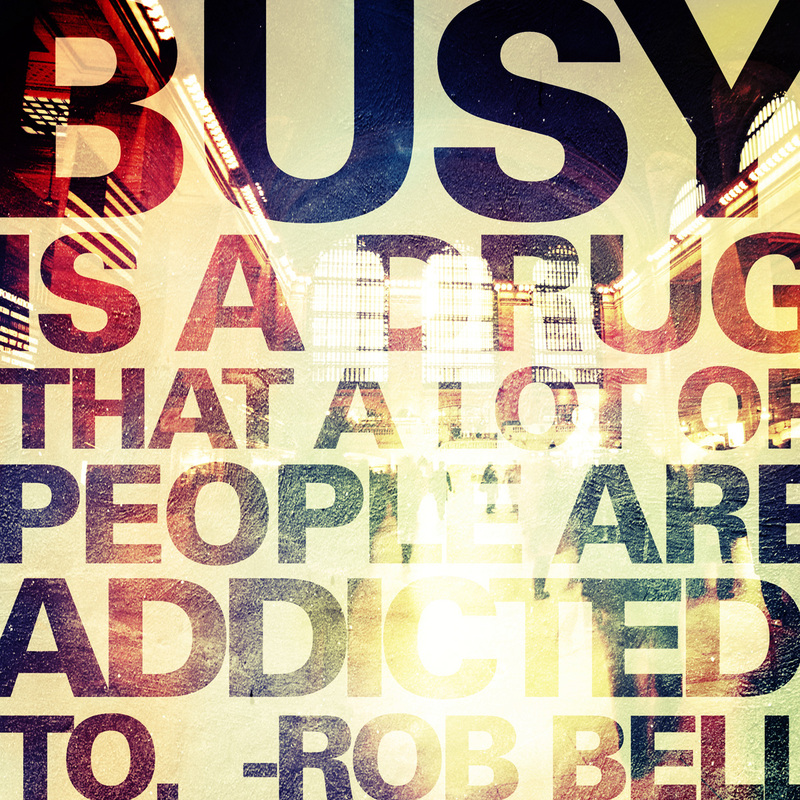 – The Busy Drug. I don’t like to state to myself or to the world “I am busy.” Said a different way, I don’t like to describe myself as a “busy body”. Busy is not who I am, it is not who “I be“. I’ve used “I am busy” to opt out of activities. I’ve used “I am busy” in lieu of using the complete sentence NO. I’ve used “I am busy” to feel/seem important. I’ve used “I am busy” because it has become a habitual lazy response. I’ve used “I am busy” because I had no other way to describe my activities for the day. I’ve used “I am busy” to mask my energies on time wasting activities. I’ve used “I am busy” to avoid making a decision. I’ve used “I am busy” to fit-in with the crowd. Why I am busy? Busy is a state of mind. An “I am” statement I proclaim to myself and to the world. Busy is a belief. I change my mind I change my inner dialogue about who “I am”. I am no longer busy. When people try to push the busy manifesto on to me to adopt – I politely state “I am not busy” (end of sentence). That is not who “I be”, that is no longer my story. Now-a-days, I’m in the midst of practicing being still. I am still. I want to be filled with different things – engaging experiences of energy that resonates in the depths of my soul and elevates my spirit. Action Question: How will you change this “I am” statement? “I am busy”.